The Agni family has had a successful series of user trials extending over several variants and a number of years which should give some confidence in the robustness of the design, development, testing and induction process. A. Vinod Kumar replies: The Missile Technology Control Regime (MTCR) is an export control grouping, on the lines of the Nuclear Supplier Group (NSG), which issues norms and guidelines on the export (or transfer) of missiles and/or related materials and technologies. The Hague Code of Conduct (HCoC), as the nomenclature indicates, is a code of conduct expected of states in handling their ballistic missile systems or inventories. 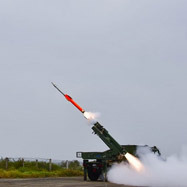 The second Chinese BMD test has a message for India: propel the development of long-range (exo-atmospheric) interception capabilities to mitigate the possibility of further asymmetry on strategic forces. It makes little sense whether a strategic or tactical nuclear weapon is used by Pakistan, since India’s general response would be to carry out a punitive attack on the adversary.